(South Windsor, CT) – Democrats of the 3rd State Senate District, which includes East Hartford, East Windsor, Ellington and South Windsor, tonight nominated Dr. Saud Anwar, Mayor of South Windsor, to run in a February 26 special election to fill the seat vacated by Sen. Tim Larson of East Hartford. Anwar, whose name was put in nomination by East Hartford Mayor Marcia Leclerc and seconded by Aaron Foster of Ellington and James Throwe of South Windsor. Delegates to the convention unanimously nominated Anwar on the first and only ballot. Larson, who was elected to the state Senate in 2014, resigned his seat this month to accept a position in the new administration of Governor Ned Lamont. In addition to tonight’s district convention endorsement, Anwar’s candidacy has received the support of U.S. Congressman John Larson, D-1stDistrict. “Saud has all of the skills needed to represent the 3rdSenatorial District – compassion, drive and dedication to working families,” Larson said. 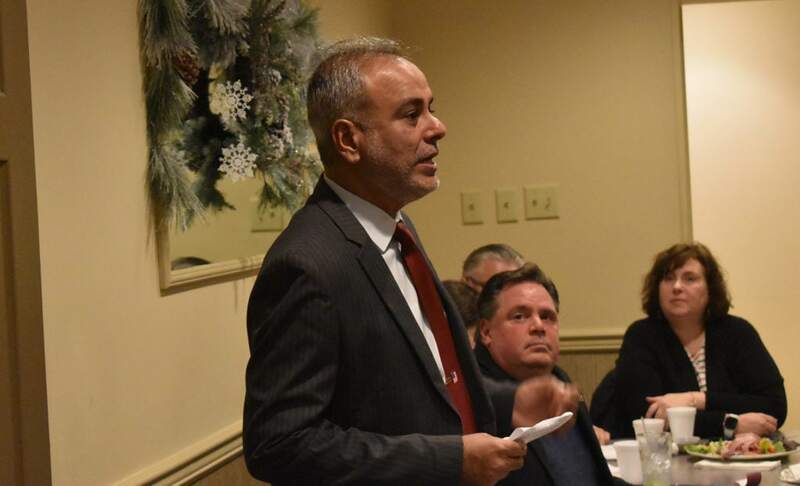 “With his experience as Mayor, he will be a great ally to Governor Lamont. He understands fiscal challenges and the balance needed to improve our infrastructure system, create jobs and advance the education of our children.” Larson said. Anwar will participate in the state’s Citizen Election Program and has raised the necessary $11,500 from 225 donors to qualify, and will file application within the week. Dr. Anwar has served on the South Windsor Town Council since 2011 and was elected as Mayor of South Windsor in 2013 and in 2017. Dr. Anwar recently served on the Lamont Transition team in various advisory panels. Dr. Anwar has been a practicing physician in the state of Connecticut for more than 20 years; is a past member of the Connecticut Health Foundation and the State Emergency Response Commission; and currently serves as the chairman of the Department of Medicine for two hospitals. Recently, Dr. Anwar was awarded the Healthcare Heroes Award from the Hartford Business Journal.